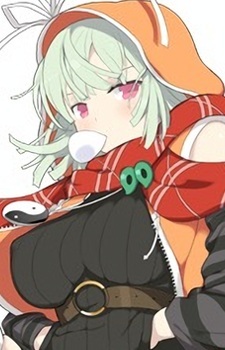 Naraku "Guardian of the Reincarnation Sphere"
Naraku is a member of the Goshin Clan and was appointed priestess and guardian of the Reincarnation Sphere, as well as given the responsibility of helping fully reawakened Kagura. Ever since she was a child, she spent her days overseeing Kagura while she remained in the Reincarnation Sphere, awaiting her rebirth. Today, Naraku stands beside Kagura every hour of the day and protects her from all possible harm, out of both duty and friendship. She fights with an expandable metal ball, which she swings from a chain around her ankle.